Paws, our brand new puppy dog, has been created using a thick dense alpaca which has made him the most fabulous coat. He is fully jointed and has a tiny hand embroidered nose, tiny mouth stitching and lovely bright eyes and of course chunky soft paws. We have weighted all the puppies to give them that adorable feel and I am sure you will find it incredibly difficult (I know I do) to not cuddle Paws all day. I can never seem to put him back on my shelf!! 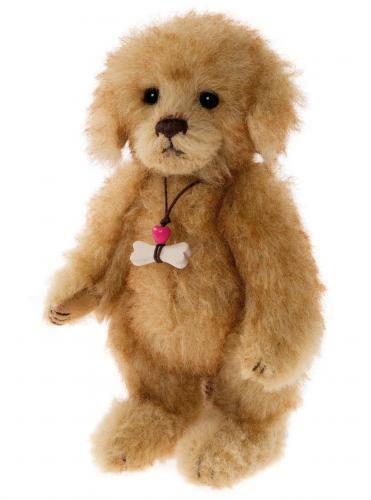 If you like this bear then you should also check out their bear family Cassie,Fetch and Polka Dot.